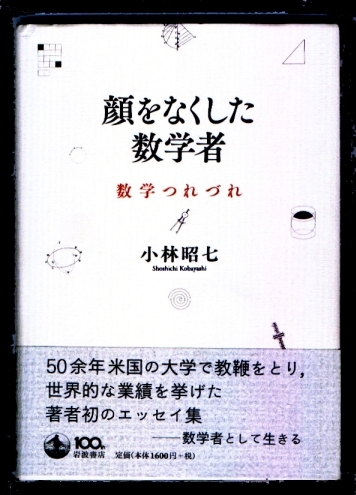 Mathematicians Who Lost Their Faces (in Japanese), 2013. 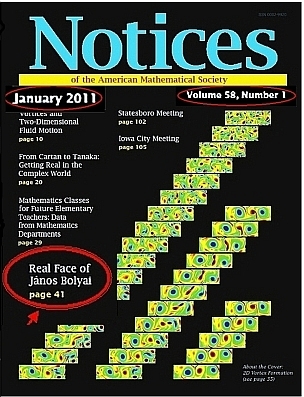 After several decades of silence attention needs to be drawn to the fact that the face of János Bolyai, that has gone into the public consciousness of present and future generations, is not really his face. This shocking statement does not only refer to the portrait of the scientist but to the 'well-known' facts about his professional activity. 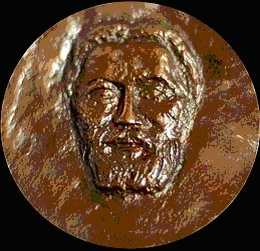 This crime is even more significant if we think about the scale of his fame and appreciation worldwide as one of the most prominent Hungarian scientists. 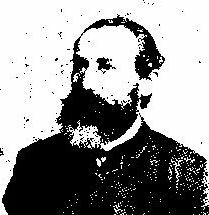 According to my depressing analysis of web sites showing pictures of János Bolyai around the world, all of them present the wrong portrait of him (with one exception only). The majority of these web sites is owned by educational institutions that means that incorrect ideas will be passed on to future generations! 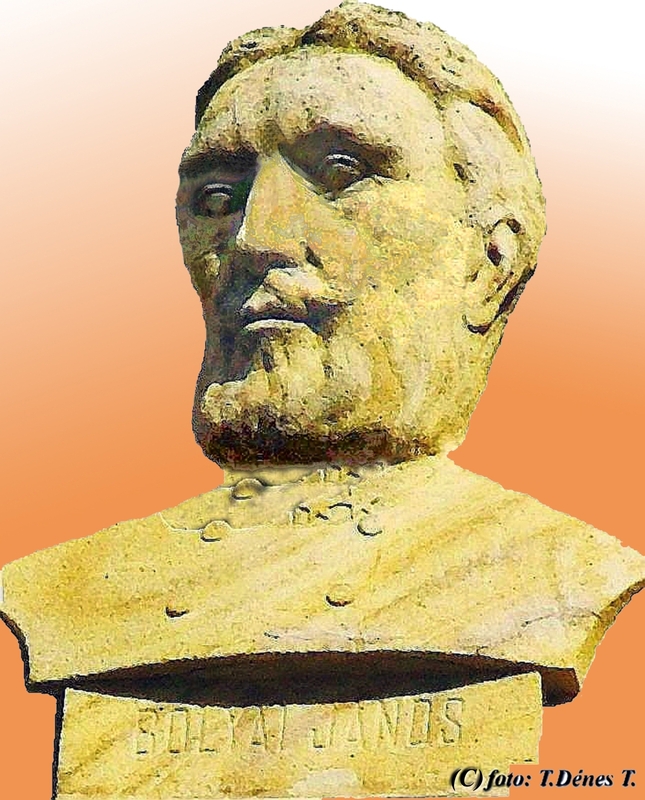 The establishment of this web site is the first step towards a János Bolyai's real face program, the aim of which is to swap the picture of the 'fake Bolyai' with the real one! 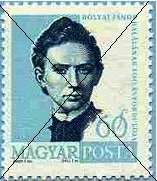 I would like to publish the most up-to-date research (related to Bolyai's life, portrait and works) on my web site and also in printed form. To help this, it would be necessary for all involved or just interested to give any support possible. Click on the images or on the underline texts! After a few second appears an original computer animation. "From descriptions of his age we may learn what he looked like. We know that he wore a dark brown beard, his hair was the same colour, his eyes were dark blue. 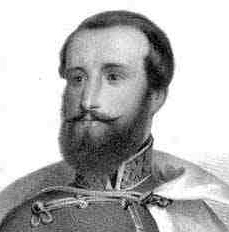 According to József Koncz (history-writer of College of Marosvásárhely) János Bolyai looked very much like general György Klapka. 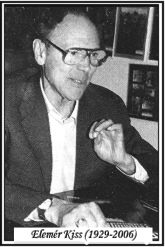 Another important fact: his son, Dénes Bolyai stated that there is a huge resemblance between him and his father. Indeed, all the photos of György Klapka as well as the ones of Dénes Bolyai show a bearded man. Also obvious are the similar features. This seems to support the correctness of the above statements. But there is more: I went on to photograph the front of the Culture Palace in Marosvásárhely where there are 6 reliefs of famous scientists of the last century. The subtitles show the names of the men (from left): Elek Dósa, Sámuel Teleki, Farkas Bolyai, János Bolyai, Ferenc Mentovich and István Pentelei. We have authentic photos of all of them except János Bolyai. 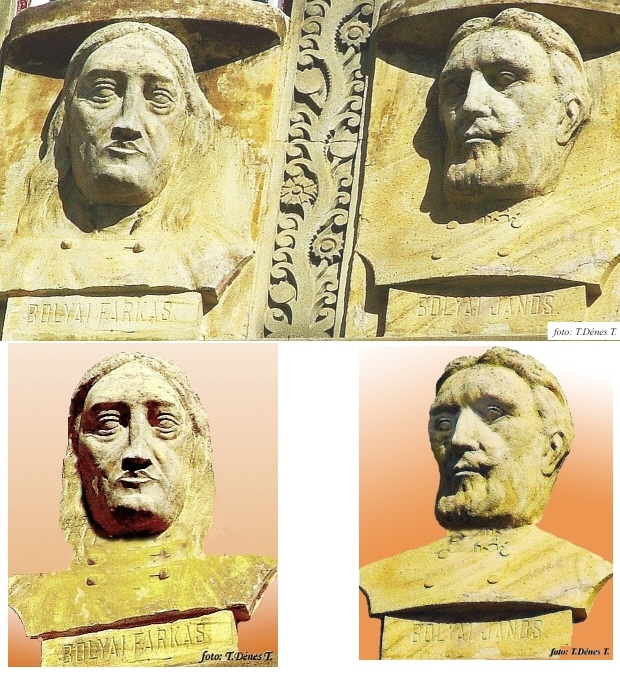 Comparing them one by one with the reliefs I found that they were perfectly identical. 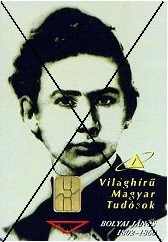 "Who is really portrayed by Mór Adler on the picture painted in 1864? 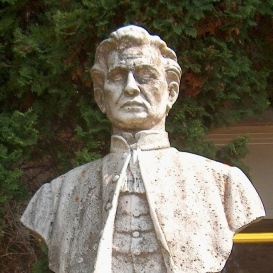 János Bolyai's name does not appear on the original painting. 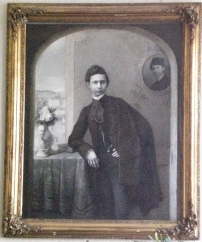 A copy of the painting had been drawn by Károly Linzdorf and he decided to write the name on it. 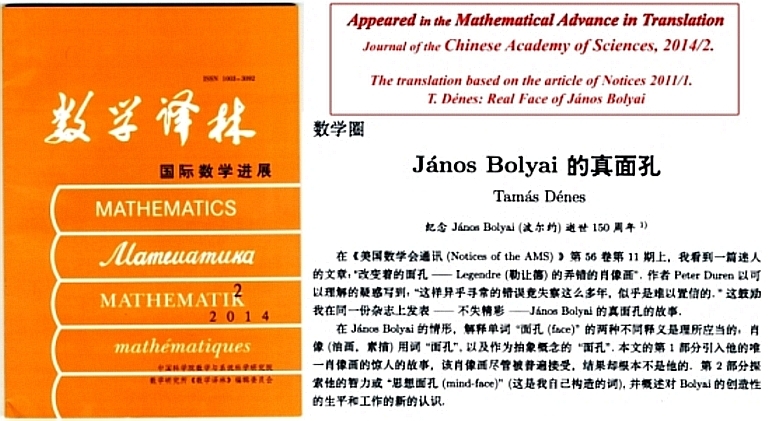 The painting and the drawing are the property of the János Bolyai Mathematical Association. 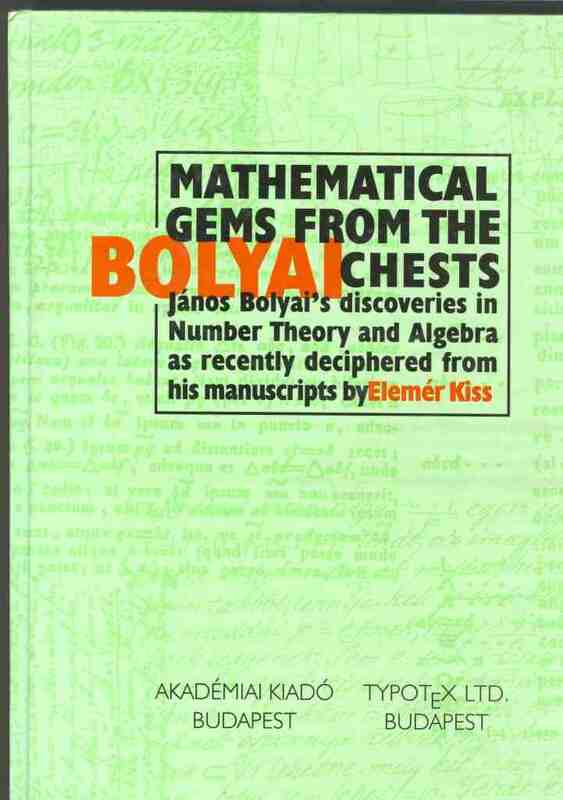 The strange spiritual affinity between Elemér Kiss and János Bolyai is expressed in the language of the mathematics, by the following congruences. It is extraordinary that -considering their ages- they both belong to the same congruence class. 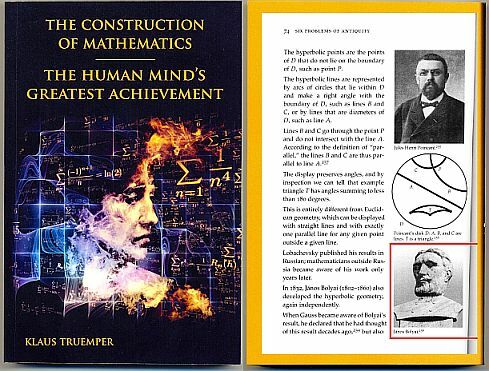 The fact that this spiritual affinity has been written using the language of number theory, may not be a coincidence either. 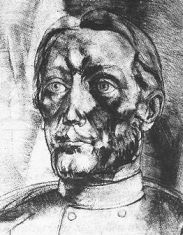 Reconstructed portrait drawing with Indian ink, made by Attila Zsigmond (painter lived in Marosvásárhely in 1927-1999), using Bolyai contemporary texts and other sources. 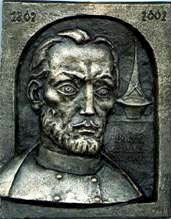 The picture can be found in the Bolyai Museum, Marosvásárhely (Románia).